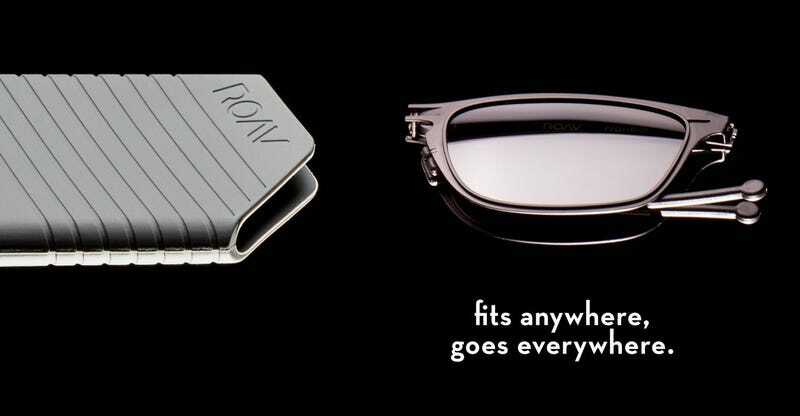 ROAV’s folding sunglasses aren’t just packable, they’re pocketable. Today at the barber shop I took off my sunglasses, folded them up, and put them in the same front pocket of my slim jeans as my iPhone X. ROAV Eyewear collapses down to fit inside an included silicone pouch, which is about half the height and slightly thicker than an iPhone, and will easily share a pocket with your mobile device or minimalist wallet. No, these are not the best-looking sunglasses ever made, but they’re no slouch either, and the best pair of sunglasses is the one you have with you. They’re also not cheap, but for Warby prices you’ll be getting something highly durable, and again, fully pocketable, with 100% UV Protection. I’m not sure I’m going to be able to go back to having my sunglasses live on top of my head or hanging from my shirt all day.